The Logan Township Youth, Parks & Recreation Committee will be sponsoring a trip Plumpton Park Zoo in Rising Sun, Maryland on Saturday, May 18. Tickets are $5 and must be pre-paid by May 1st. Proof of Logan Township residency required. Please see the flyer for more information. Please be advised that starting at 7AM, Friday, April 12th, Pedricktown Road will be closed at the railroad crossing until 7AM, Tuesday April 16th. Traffic will be directed to use Center Square Road, Sharptown Road, and High Hill Road. Be prepared for possible delays. Please be advised that starting on Monday, March 25th, Route 44 will be closed and detoured for approximately 4 weeks to facilitate culvert replacement. Please be advised that starting on Monday, March 11th at 9AM, Route I-295 Northbound will be experiencing lane closures for road resurfacing beginning at mile marker 14.5 to marker 25.6. Be prepared for possible delays. The Gloucester County Office of Land Preservation is asking for feedback as they form their Open Space and Recreation Plan. The Open Space and Recreation Plan will focus on improving Gloucester County’s current park system and identifying areas for potential future expansion. Please take a few minutes to complete the survey by clicking the above link. Logan Township Employment Portal – Now Open! 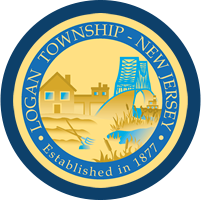 The Logan Township Employment Portal is now open! Visit LoganTwpHires.org to create your profile and review open positions in Logan Township. In coordination with our business community, the Logan Township Council has started an effort to donate excess food from participating companies to residents in need of food assistance. On the selected dates from 5:30PM to 7:00PM at our Municipal Building, Logan Township residents will be able to pick up care packages of the donated food items. Please see the letter from Mayor Minor to all residents for details to sign up for the program. Dates for 2019 giveaways are as follows: January 14, February 11, March 11, April 8, May 13, June 10, July 8, August 12, September 9, October 7, November 4, December 9. Spaces Open for SJ Robotics Team! The Lunabots SJ Robotics 4th-7th grade team has spaces open for new team members in our area. Interested parties should fill out and return the Student Application Form. For more information, you can visit their website at SJRobotics.com. Always remember – Before you or your Contractor dig on your property, you must call 811 for a utility mark out. 811 is a free service. They will mark the locations of any utilities present on your property. CALL NJ OneCall at 811 BEFORE YOU DIG – IT’S THE LAW!